Visit the store to buy books or purchase tickets to events, classes, and workshops. 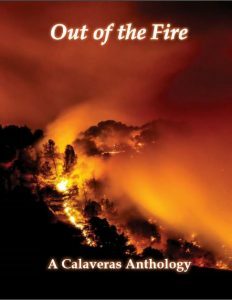 Newly released Out of the Fire, a collection of stories, poems, photography from over 50 contributors who experienced the 2015 Butte Fire that devastated the western section of Calaveras County. In the aftermath, poignant stories that help heal and provide hope for anyone experiencing such a shock to the community. 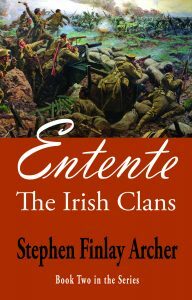 Stephen Finlay Archer just launched his second novel in his series, The Irish Clans, titled Entente. The mysteries of an ancient Clans pact deepen beneath the horrors of WWI as Irish Rebels march toward revolution in Book Two: Entente. Irish Rebels strive for an entente (alliance) with Germany, facilitated by Irish patriot Sir Roger Casement in Germany, to support the Irish Revolution starting with the 1916 Easter Rising. This culminates with the attempted delivery of weapons from Germany to the rebels just before the outbreak of rebellion in Ireland. Will that be successful thereby facilitating the revolt? Irish Republican Tadgh McCarthy, and his companion Morgan, fight for life, love, freedom, and moral truth in the trenches of Belgium. After that ordeal one of adversarial pieces of the puzzle of the Clans pact is revealed at great risk to them both, although the complexity of its mysteries still confounds our heroes. 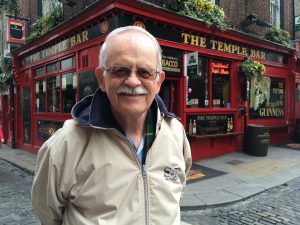 Irish-Canadian Collin O’Donnell agonizes over whether his sister Claire is still alive and in peril in Ireland, while struggling to honor his young marriage with Kathy in North America, during and immediately following the birth of their first child. What will he do when faced with the perceived need to take immediate action? The Irish Clans is an epic saga of five novels immersed in the tumultuous Irish revolutionary period of 1915 through 1923 while the world is embroiled in the Great War to end all wars, and its aftermath. The McCarthy and O’Donnell Clans, once mighty, were overthrown, but are not extinct. They are linked on two continents by a crafty medieval pact, entwined in religious and military history and mythology and using Clan relics, and waiting for Divine intervention to be revealed when the Gaelic heritage is ripe for its second coming. This is an intriguing story of patriotism and passion. The search is on for wealth, honor, passion and freedom in Book One: Searchers. Claire, a spunky young Irish woman, adrift with amnesia off the coast of southern Ireland and near death, may unwittingly be the key to unlocking an ancient Clans pact treasure mystery. What are her secrets locked in a mind trying to shut out her tortured past? Has she lost, and will she find love in a not-so-strange land? 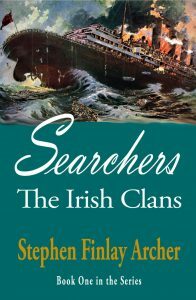 Tadgh McCarthy, a young Irish rebel sea captain, confronted by a calamity at sea, makes a life and death decision that will reinvent his future — to carry out his predestined mission in the revolution and to validate his birthright as Clan Chieftain. Will it change his loveless life forever? Collin O’Donnell, a beleaguered young Irish-Canadian, riddled with guilt over the death of his parents and abduction of his sister Claire, must make a crucial decision that may cost him the love of his life, Kathy. Together they search his past life to find what happened to Claire, at great peril to them both, starting near the dangerous Navy Yard area in Brooklyn.